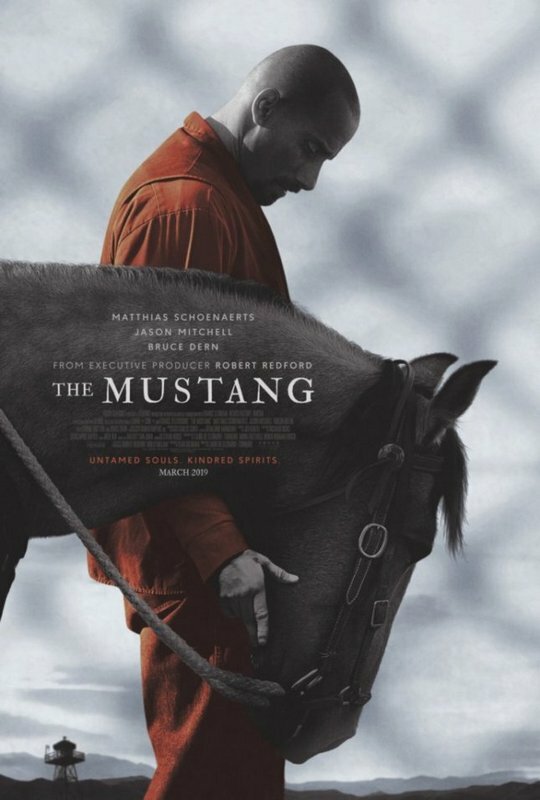 I opened the March issue of Rolling Stone magazine to find a 4-1/2-star review of ‘The Mustang,’ the movie shot at Nevada State Prison in 2017 that made its debut at the Sundance Film Festival this February. The film went into general release just a few days ago, so I can’t say exactly when you’ll be able to see it in Nevada theaters. Watch for it, though, because it promises to be an excellent addition to the wild-horse genre that dates back to 1961 and “The Misfits,” shot throughout northern Nevada and starring Marilyn Monroe, Clark Gable and Montgomery Clift. Executive producer of “The Mustang” is Robert Redford, and the film was directed by Laure de Clermont-Tonnerre. Although few people in Carson City were aware at the time, the movie production was an extensive operation and involved several volunteers from the Nevada State Prison Preservation Society, the group working to preserve the prison and turn it into a museum. So what’s up with that effort? After two pieces of legislation were approved by the Nevada Legislature and signed by the governor in 2015 and 2017, the state’s bureaucracy still is finding ways to wrap the project in red tape. There have been multiple attempts by the all-volunteer NSPPS members to organize and conduct tours through the historic old prison. The Carson City Chamber of Commerce hosted a big event there three years ago. But every time the Preservation Society folks get ready to open it up to scheduled tours, state officials manage to think of something else that needs to be done first. You can follow the progress of the efforts to preserve the landmark prison and get information on future tours by going to the NSPPS web site and signing up for its newsletter. In the meantime, watch for “The Mustang” to arrive at a theater near you. Nevada State Prison and the surrounding landscape are major features of the movie. If you already had this year’s Epic Rides bike races in Carson City marked on your calendar for mid-June, move it back a couple of weeks. After heavy snow in the Sierra Nevada this winter, organizers want to make sure most of it melts before they send off-road bicyclists onto the trails. The dates are now June 28-30. The event offers races on 15, 35 and 52-mile courses through Ash Canyon, Kings Canyon and the Marlette Flume Trail.